Scheduling for next year is underway! Now is the time for students to weigh options and discuss their future course selections with their teachers, school counselors, and families. 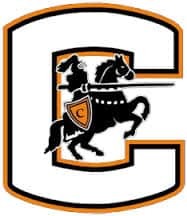 Here is the latest message from CHS Principal Dr. Eric Irizarry. More information about the process and the Program of Studies is available here. Additional information and scheduling help specific to Buford Middle School is available here. 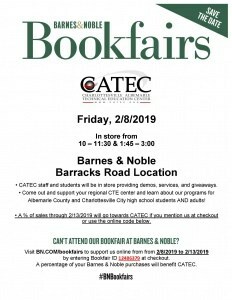 CATEC Community Open House, Tuesday, February 5, 2019 from 5-7 p.m.
CATEC at Barnes and Noble, Friday, February 8, 2019 from 10-11:30 and 1:45-3pm. January 21: Teacher recommendations for core classes are posted to PowerSchool. Students can log in to their accounts to view recommendations. Parents can also log in to the PowerSchool Parent Portal to view recommendations and give input. January 28-February 1: Student Curriculum Fair for students each day during lunch period. Students can learn more about course offerings and ask questions. 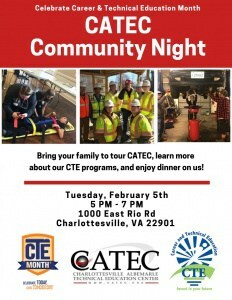 January 29: Community Curriculum Fair at CHS. Families are invited to learn more about course offerings and ask questions. March 27: Course selections completed and posted to student PowerSchool accounts. 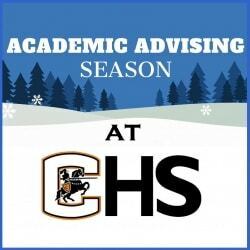 Parents can log in to Parent Portal to review and will receive printed copies of the schedules in the CHS Quarter 3 mailing.